Author Bryce Courtenay was born in South Africa, but also lived a large part of his life in Australia and held Australian citizenship. He passed away last year. One of Australia’s all time best-selling-authors, many of his novels were based in his native Africa (The Power of One for example) but he also several based in Australia. Jessica was a novel I read last year, and I really enjoyed this story set in outback Australia, following the life of a tough heroine through the many challenges she faces in her life. 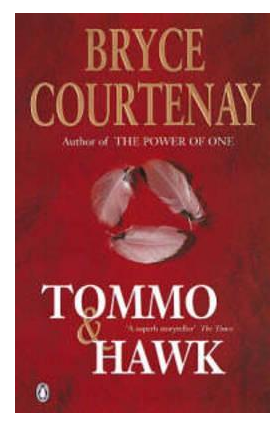 Somehow, I never got around to it, but recently purchased the 2nd novel, Tommo & Hawk, at the American Book Centre in The Hague. Alongside a fabulous array of brand new English books, they also have a reasonably-priced second hand section upstairs. With a busy life balancing business and family, I rarely find the time to indulge in novels but this one was worth it. Though much of it is rather far-fetched, I enjoyed this historically-based tale of twin brothers. The first novel, The Potato Factory, starts in 19th century London, with the main characters then sent to the penal colony of Tasmania. That book was made into a four-part mini series which aired in Australia in 2000. This second book follows Tommo & Hawk through Australian and New Zealand historical places and events – from Hobart to New Zealand to the Rocks in Sydney and the miner’s riots at the goldfields. As someone who has an interest in history but no patience with dry, factual accounts, this was a pleasant way to have a basic understanding of what those times may have been like. The story is told from the perspective of both twins and overall is an entertaining read for anyone wanting to grab a glimpse of Australia’s past in a fictional sense. 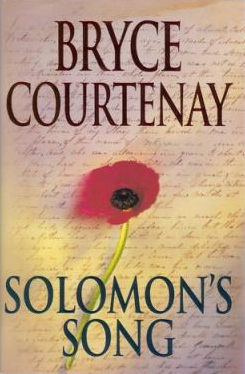 Solomon’s Song, the third book in the series, follows the same family further and was written after the author visited Gallipoli, thus relating to another important part of Australia’s history. 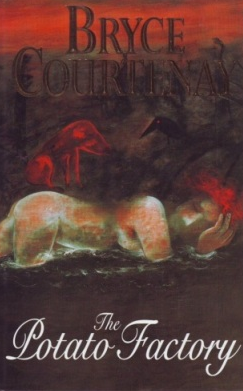 Have you read any of Bryce Courtenay’s novels? Would you like to recommend any other Australian authors to our readers? Please comment below. Interesting sharing. I originate from generations in Australia, and go back to the Convict McQueeny, one of the first transported from England for being part of a protest and sentenced to a number of years and never returned to the Homeland of the British Islands. My wife is Dutch and I first shifted to Netherlands after falling for her after a meeting in USA, and we lived in Etten-Leur, in the Province of Breda I believe. I missed Australia too much after 2 years, and she loved it and so she moved to the Aussie shores and to my homeland. I loved the Power of One, then also the Trilogy starting at the Potato Factory. We shifted from Netherlands to Tasmania as she loved the East Coast of the Island which we visited on our Honeymoon. We literally visited so many locations captured in the writings of Bryce Courteney within Tasmania. I could associate so much to Tommo and Hawk having walked the streets of where it was written about and visited the locations and Pubs, all-be-it some years later, even to the Graveyards and resting places of many mentioned in the written works. We have lost a great writer. Thanks for your comment Greg, sounds like an interesting life, perhaps you need to write a book!